I love highlighting and making notes in nonfiction books I read for fun. 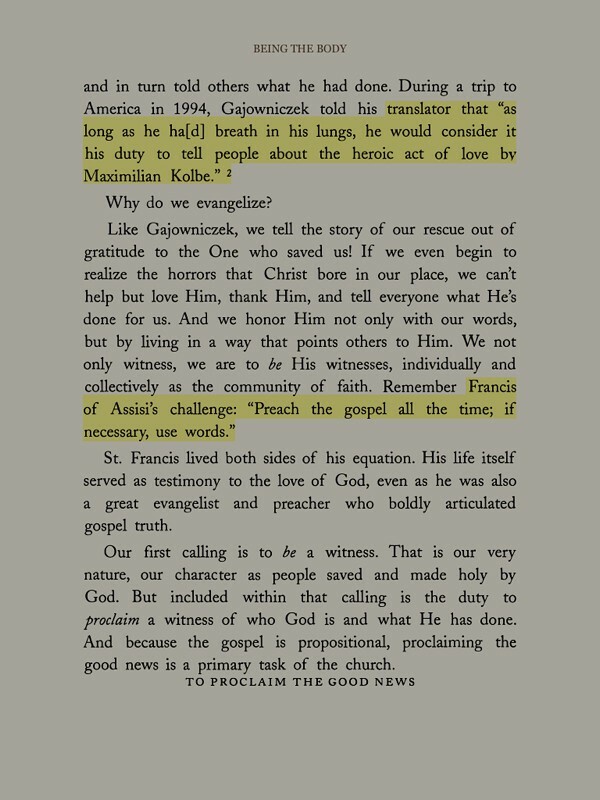 I have not completely transitioned to reading ebooks in lieu of paper books, but for the books I am reading electronically the option to digitally highlight is great. One of the exciting things I learned yesterday from Will Richardson is how to view highlights made in the Amazon Kindle iOS app (or an actual Kindle) on a webpage. To do this, login with your Amazon account on kindle.amazon.com and click the breadcrumb link at the top for “My Highlights.” This will show your highlights and notes with most recent entries shown first. Alternatively, after you click the “My Books” link you can choose to view highlights from a particular book you own by clicking the highlight/ annotation link to the right of the book entry. 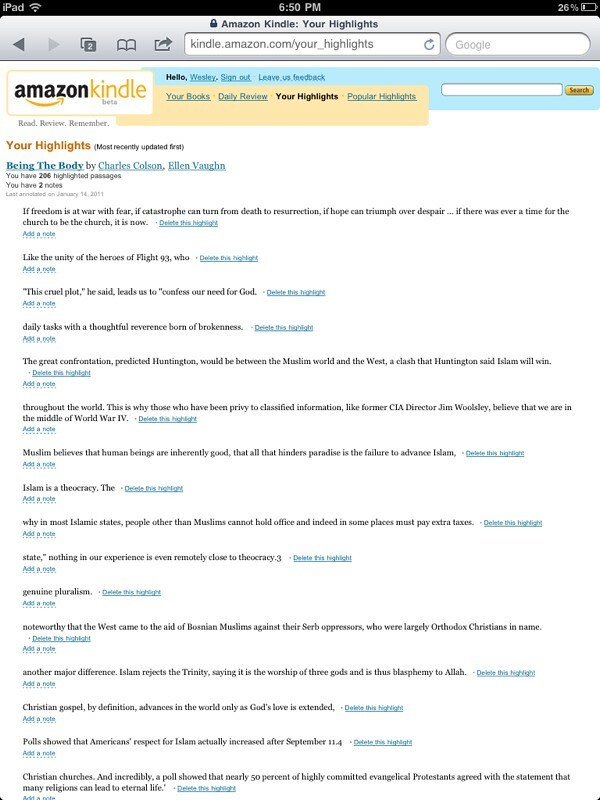 You can view your own highlights as well as popular highlights made by others in the same book. 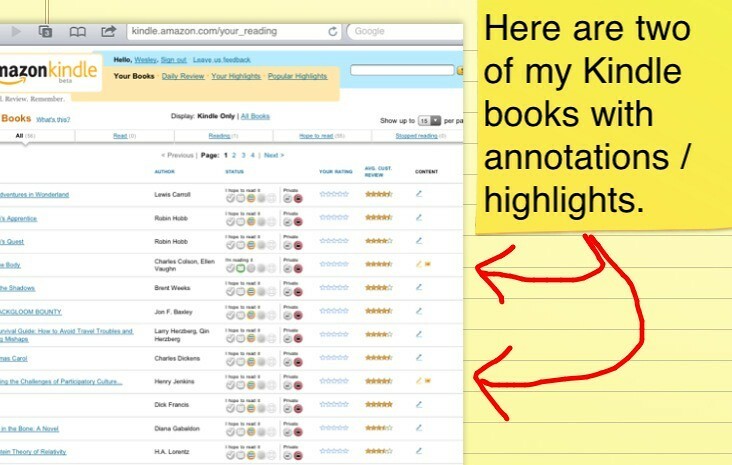 At some point it would be great if Amazon would let users create groups for highlights and annotations. This would enable book clubs or classes of students to collaboratively annotate a text. – Posted using BlogPress from my iPad. Image annotated with Noterize. Coincidentally, I was shown this feature yesterday as I wanted to download my highlights. As a High School technology integrator, I’ve been looking at this through the eyes of an ESOL student or even literature and language students. When I encounter a word, I use the dictionary feature to look it up (I’m shocked at how many words I have to look up at times: ameliorate, parenthetically, coterminous…thanks to Ian McEwan and Sebastian Faulks), then I highlight the word. When I have finished the book, using this feature I can then list all the words and see if I have retained any of the definitions. Yes, groups would be great – that way vocabulary lists can be compiled (as well as text annotation). Great to share ideas. Thanks again for this!